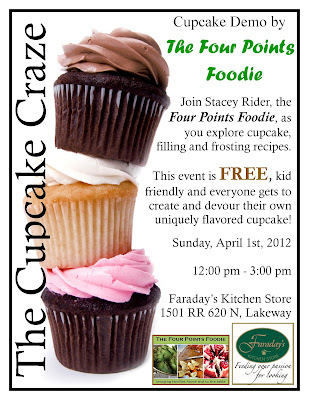 The Four Points Foodie: Cupcake Craze Demo! 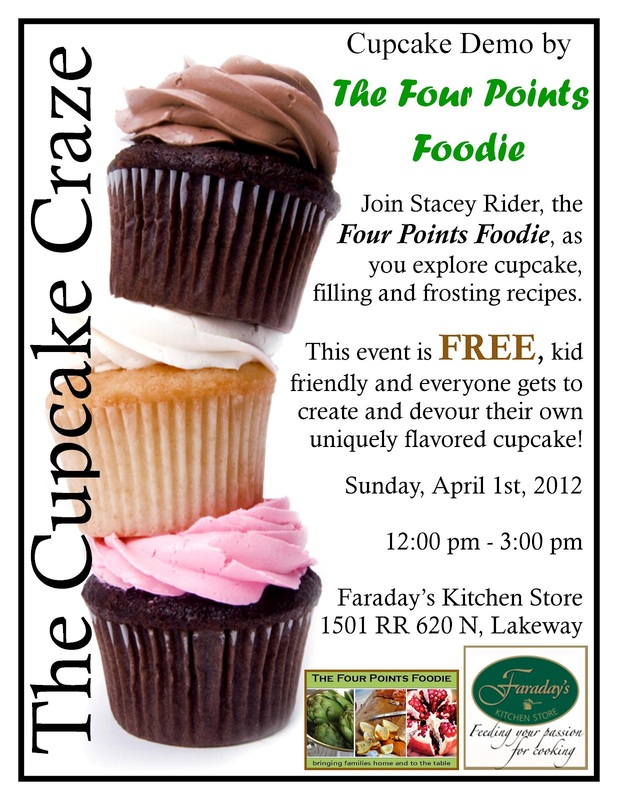 Please join me on Sunday, April 1st, 2012 - not kidding - between 12 - 3:00 p.m. for a fun demonstration at Faraday's Kitchen Store in Lakeway. It's all about cupcakes - Cupcake Craze - is FREE and kid friendly. I will have four different cake types that you can mix with four different fillings, four different frostings and all the embellishments. Every one gets to try making their own flavor combination! 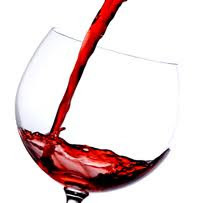 Cool that you are doing a demo. I am sure it will be a success! It sounds like lots of fun, if I was close by I would not miss it. I hope you have someone that will take pictures so we can see a post of this event!